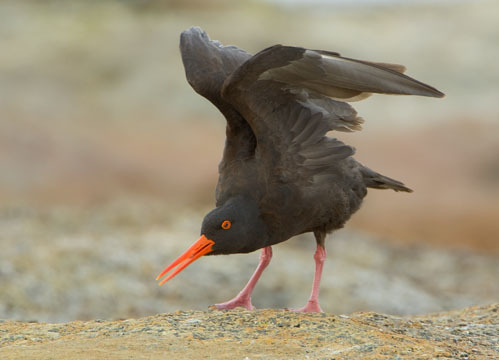 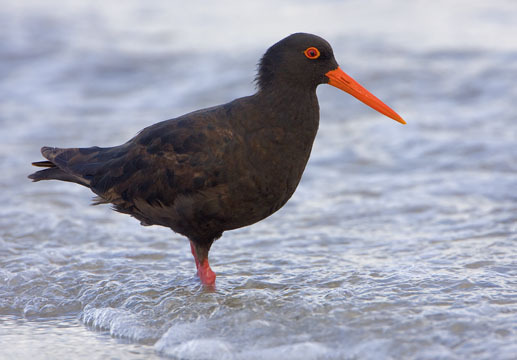 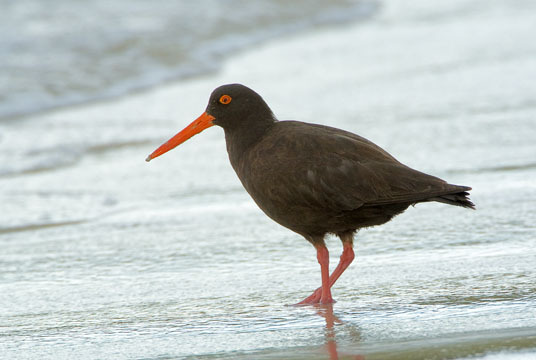 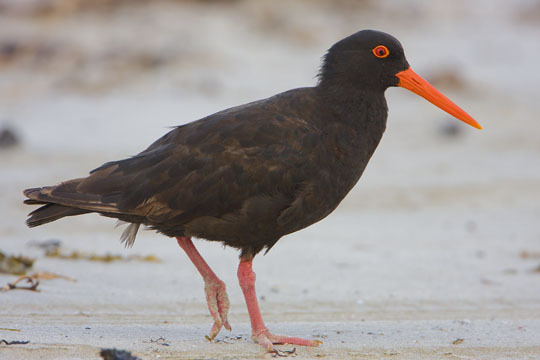 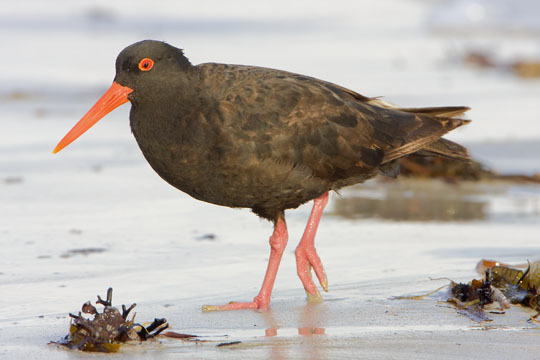 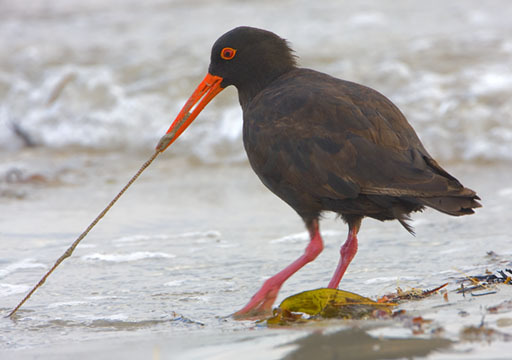 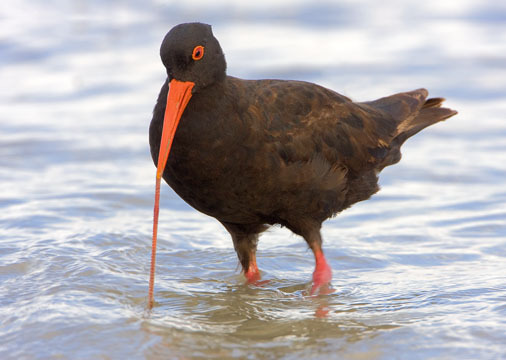 This dark-colored oystercatcher is one of two in Australia (along with the pied oystercatcher. 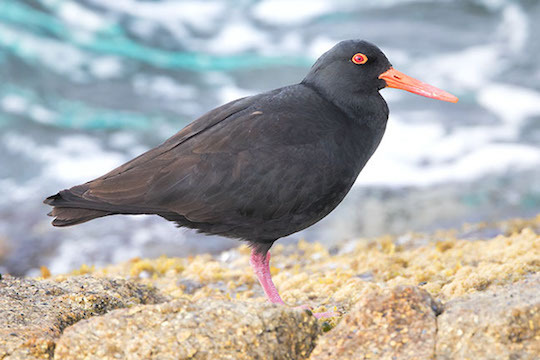 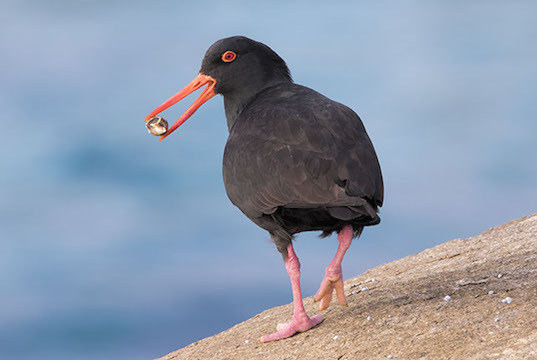 Many continents have both a blackish and a black and white oystercatcher; Australia's sooty oystercatcher closely resembles the black oystercatcher of North America, but sooty oystercatchers are much more prone to be found on beaches and mudflats, while black oystercatchers favor rocks. 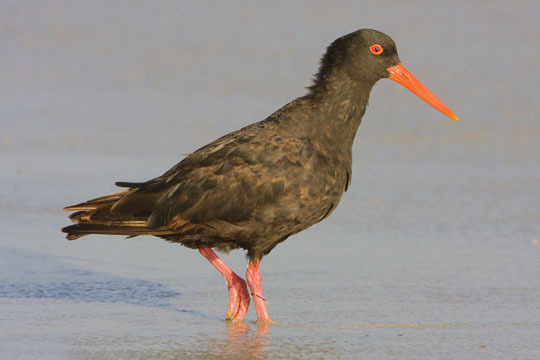 This bird was photographed on a beach near Nornalup and at Two Peoples Bay, both in southwestern Western Australia.